The sun shines in Shondaland! 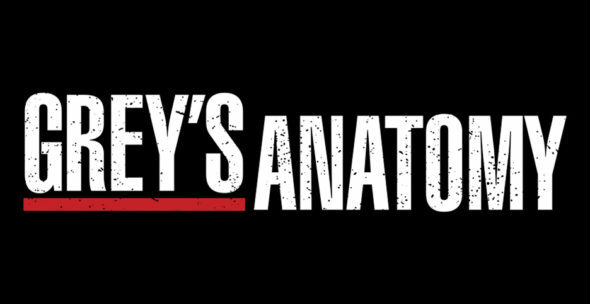 Although it’s not yet up on the press site, ABC has renewed its Grey’s Anatomy TV show for a 14th season. A long-running Shonda Rhimes drama, Grey’s Anatomy stars Ellen Pompeo, Justin Chambers, Chandra Wilson, James Pickens, Jr., Kevin McKidd, Jessica Capshaw, Sarah Drew, Jesse Williams, Jason George, Caterina Scorsone, Camilla Luddington, Jerrica Hinton, Kelly McCreary, Giacomo Gianniotti, and Martin Henderson. Today, ABC also gave early renewals to Shondaland’s other TGIT shows, Scandal and How to Get Away with Murder. Since the block’s January return in its full lineup after Scandal had to sit out the fall because of Washington’s pregnancy, ABC has won every Thursday among Adults 18-49. All three dramas hail from Shonda Rhimes and Betsy Beers’ Shondaland and ABC Studios. Grey’s Anatomy and Scandal were created by Rhimes who oversees both series; HTGAWM was created and is run by Pete Nowalk. In its 13th season, Grey’s Anatomy continues to defy its age, ranking as ABC’s No. 1 show among Adults 18-49 and the No. 3 broadcast drama overall. Its midseason return on Jan. 26 was the show’s most watched telecast in two and a half years and highest rated in 18-49 in year and a half. Scandal opened its sixth season with its biggest audience and best 18-49 rating in a year. Like Grey’s, Murder, which had been hit by the weak lead-in from Notorious in the fall, also came back to its midseason return with new season highs. The drama is among the biggest gainers on TV this season in the Live + 7 Day ratings, more than doubling (+117%) its Live + Same Day Adult 18-49 number. What do you think? Have you been watching season 13 of the Grey’s Anatomy TV show? How would you have felt if ABC cancelled this drama series instead of renewing it for season 14? We don’t often see shows these days with such diverse characters (exception being Rhimes series)… I hope that you will keep these shows running for as long as you can make the story lines interesting! I would be heartbroken if there wasn’t another season of this show. I’ve been watching greys for years and I don’t want it to ever end. There should definitely be a 14 season grays anatomy is by far the best show I have ever watched it is so fricking good!!!!!!!!!! I think they should definetly have a season 14 because they left us with a cliffhanger and I’m wanting more. So “Grey’s Anatomy” remains a successful show for ABC after all these years, even with some major players coming and going throughout its run, and because of that continued success, I am glad to see its original run continue for as long as possible. I think the only way that “Grey’s Anatomy” is going to end its original run is if Ellen Pompeo (who has portrayed its title character, Dr. Meredith Grey, since the show’s beginning) decides not to continue doing the show. It’s always hard to imagine a great TV show without its title character. My DVR catches every episode. I’m so hooked, I can’t stop watching it. I love this show!! Do not cancel 14th season please!!! We are waiting for it!